IN THE cloud forests of the Sierra de Juárez mountains in southern Mexico, a new kind of tree is springing up: the mobile telephone mast. 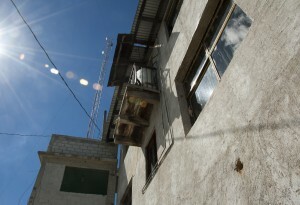 Unlike most phone masts in the world these are installed, owned and operated by small, mostly indigenous communities. Providing a mobile service in these villages was not profitable enough for big telecoms companies to bother with, unless the locals stumped up $50,000. But improvements in software and the falling price of hardware has made it possible to build a local mobile-phone base station for around $7,500, which non-profit operators and small communities can muster. 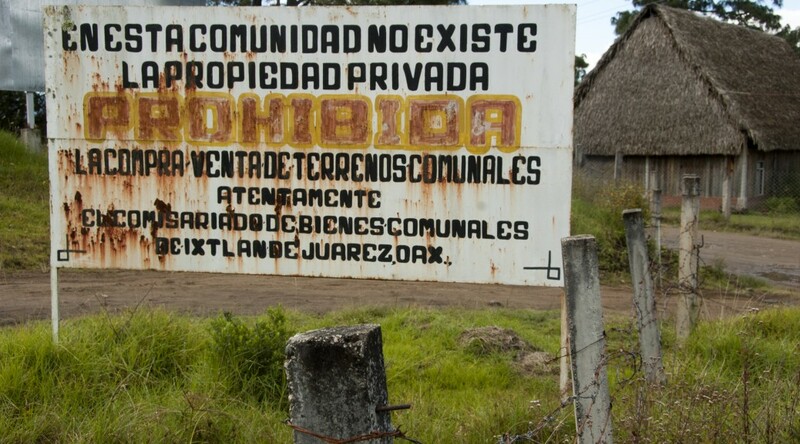 Sixteen communities in this remote corner of Mexico now count on local mobile services which cost much less than that of Mexico’s dominant operator, América Móvil, or its nearest rival, Movistar. Eliel López, a motorcycle-taxi driver, says the business he gets using the community-owned network in Villa Talea de Castro in the state of Oaxaca more than pays his monthly fee of 40 pesos ($2.71), which covers local calls, and per-minute call costs of 0.82 pesos to mobiles on other networks in Mexico. 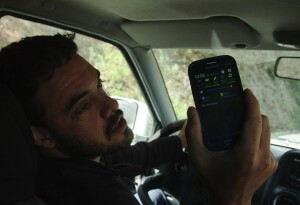 The big networks charge around 3 pesos a minute. Calls to mobiles on other networks can be dialled using pre-paid credit. But ringing someone in the United States might actually be cheaper. 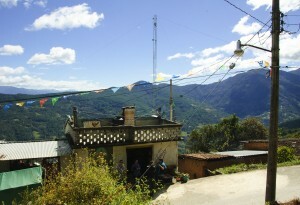 This is thanks to a series of repeater antennae scattered through the mountains and providing a connection to Oaxaca city, the state capital. It allows voice-over-internet calls. The cost of mobile equipment is falling thanks to open-source systems and a new generation of base stations that make use of a process called software-defined radio. As its name suggests, this uses software to manage the network instead of lots of dedicated hardware. Such kit is now available to groups such as Rhizomatica, a non-profit operating from the state capital. Peter Bloom, its founder, has been installing the equipment aided by a bevy of Italian, Spanish and other engineers. 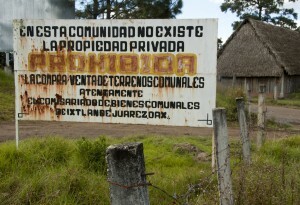 They have been able to do this because Mexico’s constitution gives indigenous community radio stations the right to use radio spectrum in places neglected by national concession-holders. Rhizomatica teamed up with a lawyer to persuade regulators that the principle also applies to wireless telephony. “Communication is an essential human right,” says Mr Bloom. In the spring of 2014 the national telecom regulator awarded Rhizomatica a two-year experimental, non-profit licence to operate in the region. 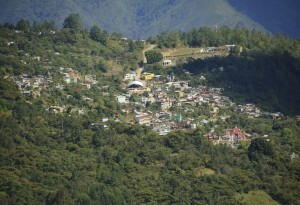 It also helps that this area of Oaxaca has long governed itself under Mexico’s so-called indigenous customary practices, which include communal land and labour-sharing. Now that Rhizomatica’s network is sprouting new nodes, the communities are encountering some of the same difficulties faced by larger operations, such as people from one local network wanting to use their mobiles in another area. The local networks do not use SIM cards to identify users, who must register their phones with the local network’s administrator. When someone registered in one community visits another they can automatically use the network there, too. At present they are not charged, but roaming fees could be introduced. In December Mexico’s regulator issued a plan to reserve some of the radio spectrum for indigenous and community use under 15-year non-profit licences. This could encourage more communities to set up their own mobile services. But the non-profit requirement might dissuade outside investors from putting money into such schemes, making it difficult for them to scale up. In some countries community-based networks form partnerships with incumbent telecoms firms to provide services at a profit. Endaga, an American firm spun out of the University of California, Berkeley, set up such a network in Indonesia in 2013. In Mexico a similar partnership would probably require a change in the rules. As is often the case, technology moves faster than regulators. First published in The Economist’s Tech Quarterly: [html]. Hear also my radio piece on this project for NPR’s Here and Now: [html] [mp3].